When you or a family member needs elderly care, planning and arranging what to do can be very stressful. You could be faced with many decisions and may be unsure where to start or who to talk to, particularly when it comes to sorting out paying for care for as long as it’s needed. Social care is the phrase used to describe help and support for people - both personally and practically - enabling them to lead as independent a life as possible. Social care covers a wide range of services, both private and public, and can include anything from help getting out of bed and washing, through to care homes and drop-in centres. Social care is means-tested in most of the UK at the moment and many councils only give support to people who are classed as having substantial or critical needs, meaning state support is not available to many. Medical care relates to the care provided where there is some element of medical or nursing care. In terms of care home funding, tasks identified by a nursing needs assessment as those that need to carried out or supervised by a qualified nurse – injections, dressings etc will be paid for by the NHS. The cost of residential care can vary hugely by location and depends on whether you require nursing care, which your care needs assessment will determine. If you do require nursing care, this increases your care home costs considerably. On average you can expect to pay more than £27,200 a year in residential care costs, rising to over £37,500 a year if nursing care is necessary. Residential care costs are not the same in all parts of the UK, there are significant regional variations. It is important to familiarise yourself with the cost of nursing care in your area, as nursing home fees vary significantly in different parts of the country, it also depends what type of care you require. A place in a nursing home can cost more than £900 per week. The more specialised the care, the higher the fees and of course more comfortable surroundings and facilities will also increase the cost of nursing homes. Home care, (also referred to as domiciliary care or social care), is health care or supportive care provided in the patient's home by licensed healthcare professionals. Licensed personnel and others who assist the individual may be referred to as caregivers. Caregivers may help the individual with such daily tasks as bathing, eating, cleaning the home and preparing meals. For terminally ill patients, home care may include hospice care. For patients recovering from surgery or illness, home care may include rehabilitative assistance. Homecare is purchased by the service user directly from independent home care agencies or as part of the statutory responsibility of social services departments of local authorities who either provide care by their own employees or commission services from independent agencies. Care is usually provided once or twice a day with the aim of keeping frail or disabled people healthy and independent though can extend to full-time help by a live-in nurse or carer. Like any form of care, costs vary according to the services required and the geographic location. Elderly sheltered housing is a type of accommodation that allows older people over the age of 60 to live in self-contained flats or bungalows, aided by support workers and sometimes a warden. There are often communal areas for the elderly residents such as a garden, laundry room and lounge, which allow residents to retain their independence and enjoy the company of their elderly neighbours. All accommodation should also provide 24-hour emergency help in case there is an urgent need for help or assistance. Sheltered housing is often seen as an alternative to residential care homes. 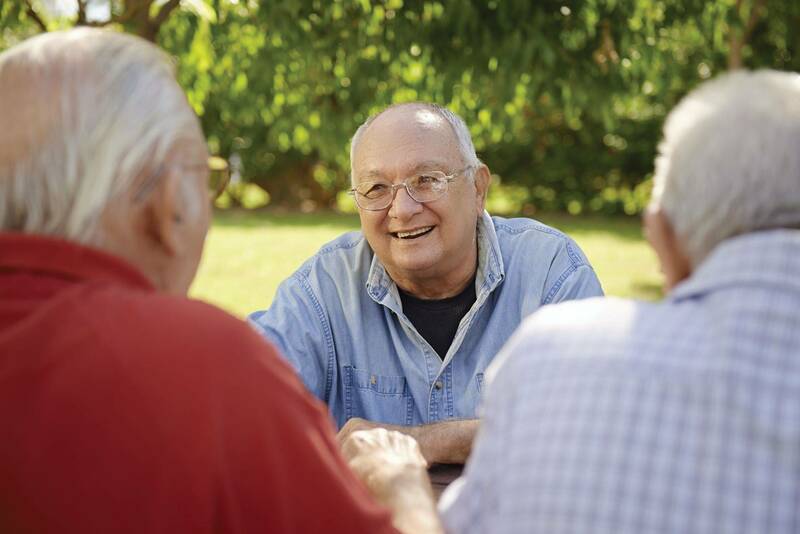 For those requiring more support, extra-care sheltered housing is sometimes available. There is a risk that people with dementia may be at greater financial disadvantage because their need for residential care could last longer. This is because dementia is an incurable condition caused by diseases of the brain and this does not necessarily mean they will develop other medical conditions that might reduce life expectancy. Lifetime care costs therefore may be considerably higher. In the case where dementia sufferers stay in their own homes to be looked after by a relative, substantial additional costs are frequently borne by that family carer. These additional costs can take the form of paying out for support services and social care or loss of earnings where a carer either reduces their working hours or gives up their job entirely. There are other associated costs in caring for someone with dementia, for example securing Lasting Power of Attorney and additional travel costs where using public transport becomes problematical.